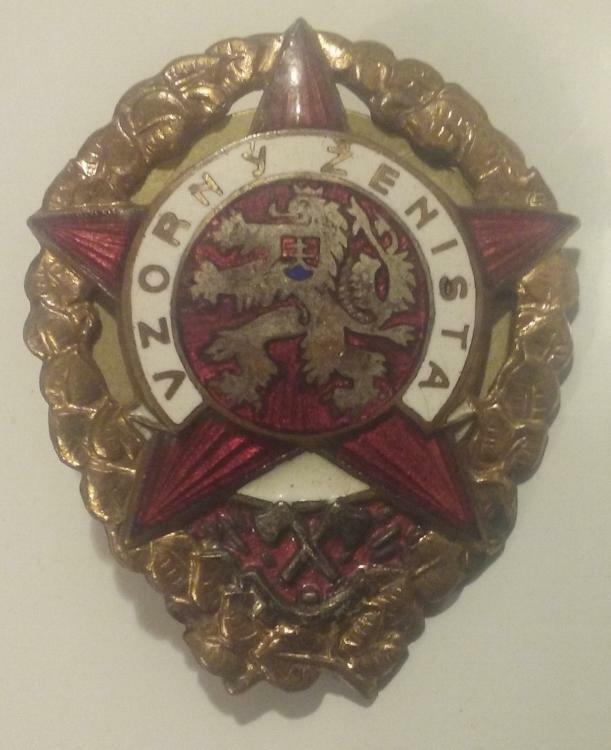 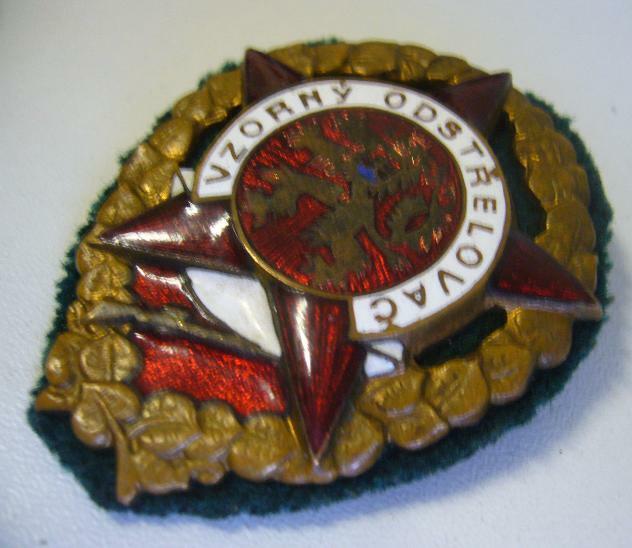 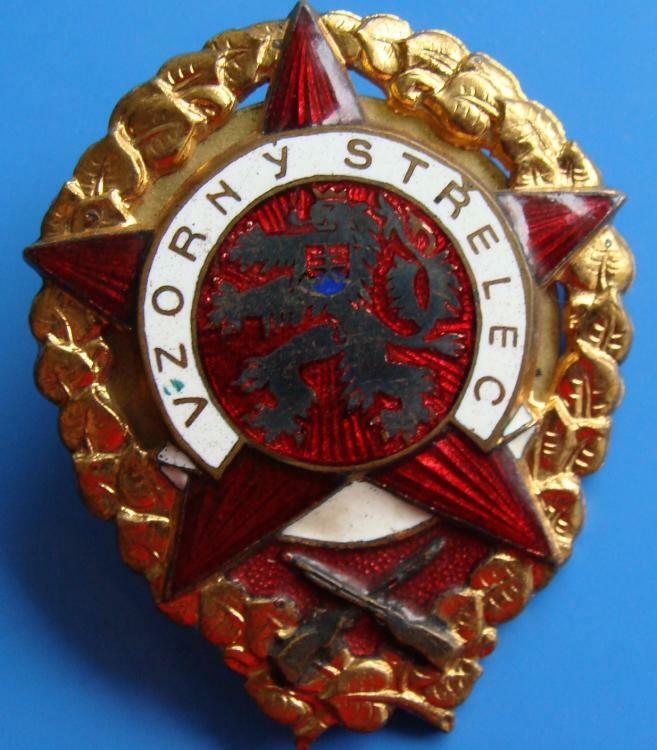 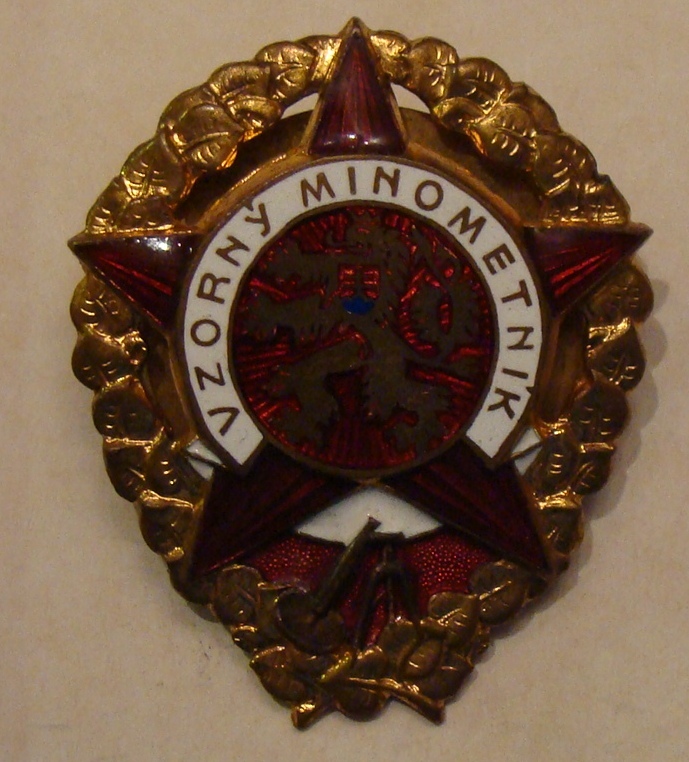 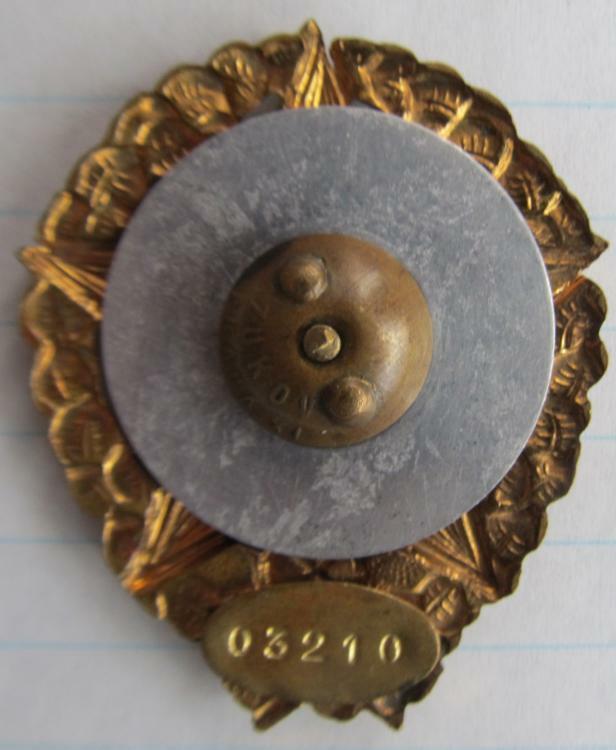 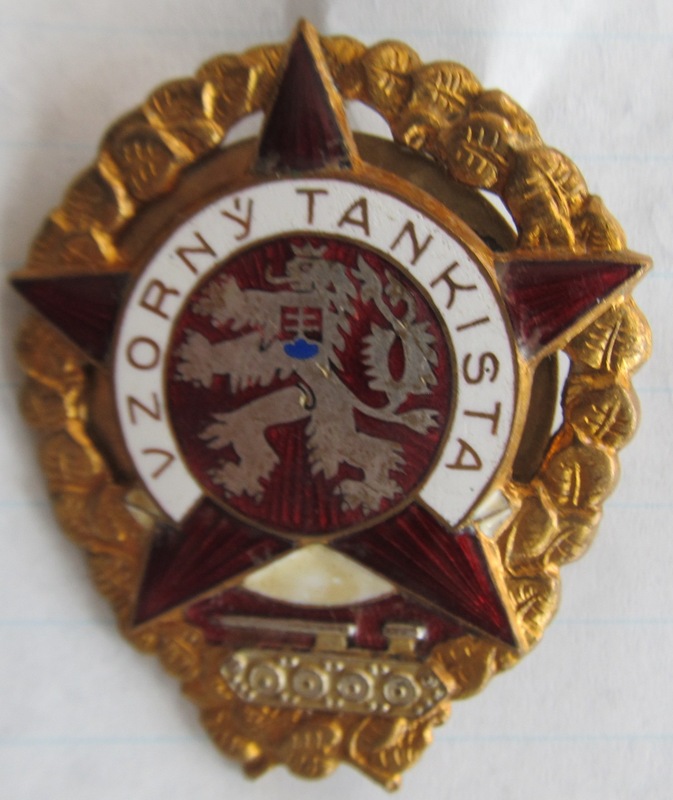 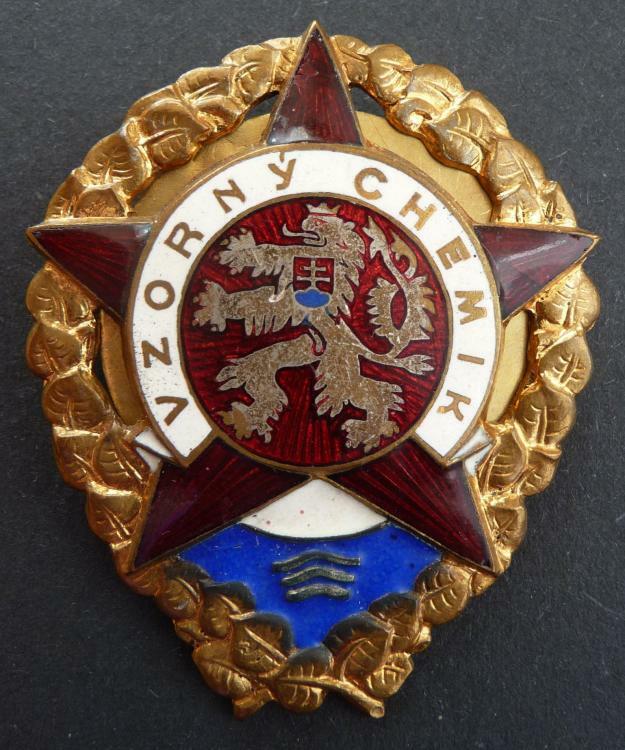 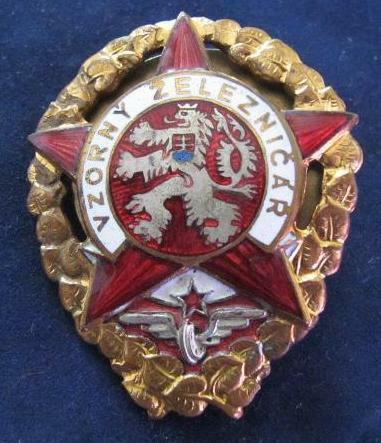 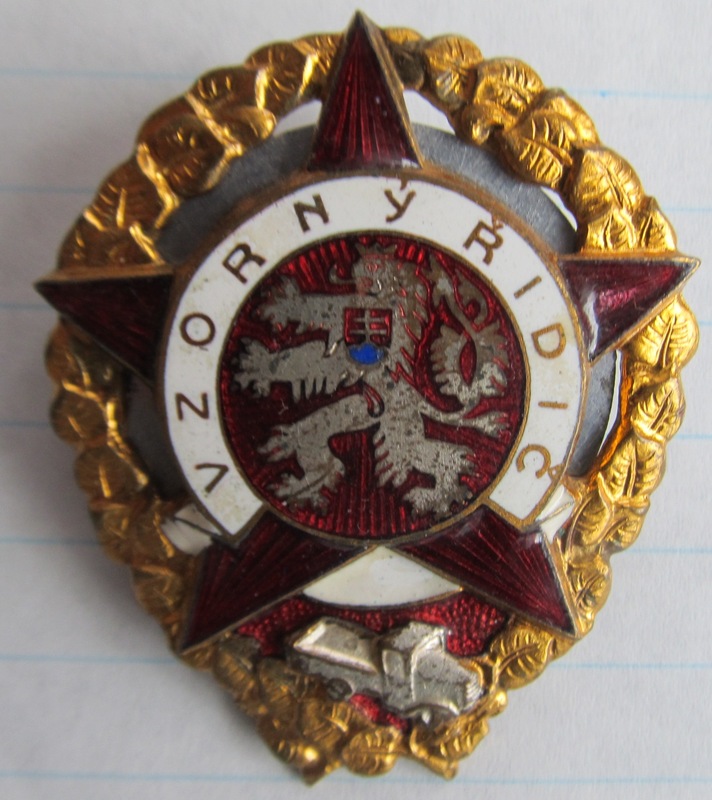 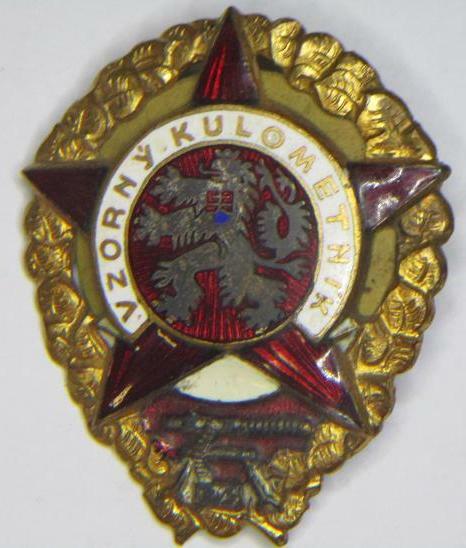 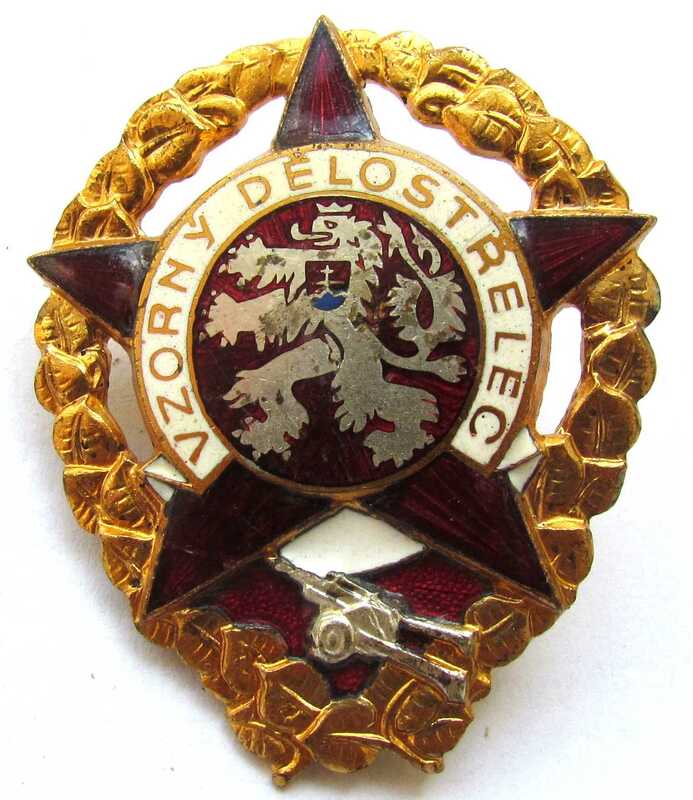 I went through the division ,but I did notice this topis.Probably I did not see properly.Despite of the fact I think the topic about the Czechoslovak military badges deserves the position in GMIC.In my opinion the badges belong among the nicest military badges,still are looked for many collectors in Czech and Slovakia. 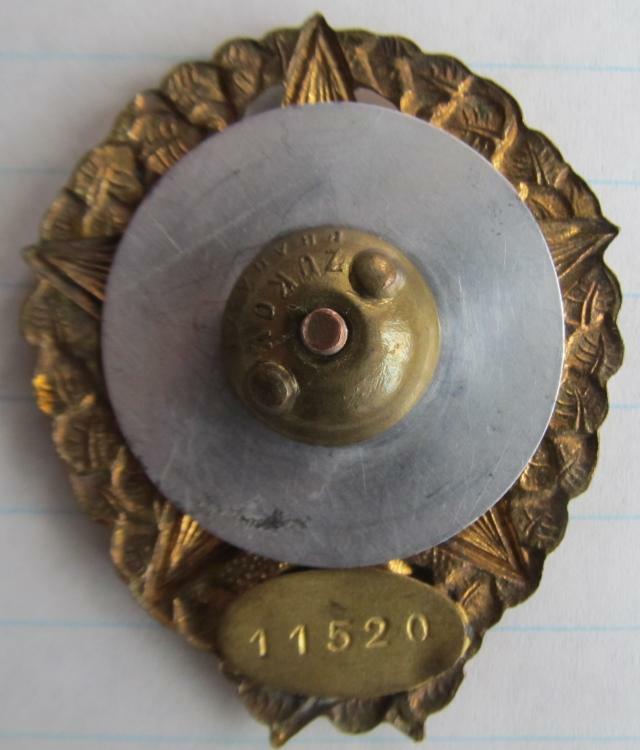 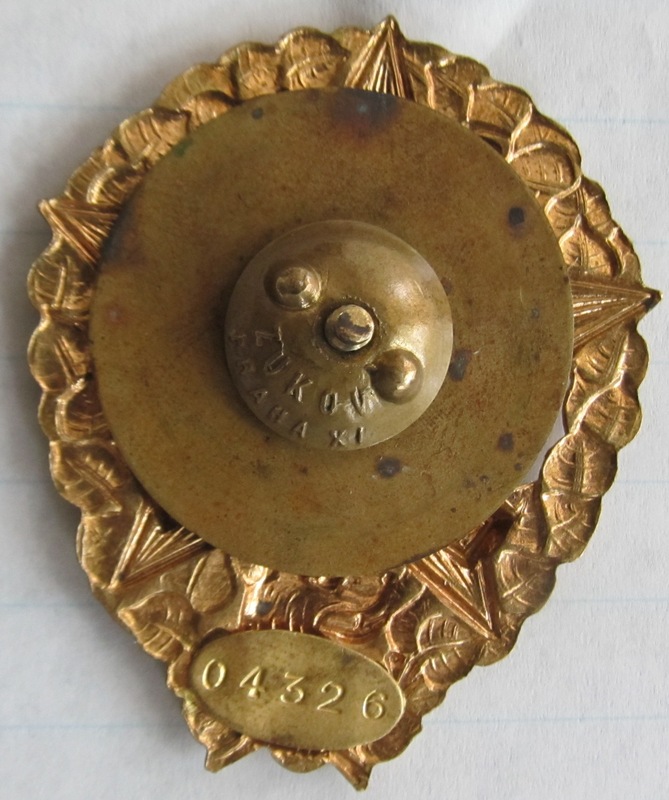 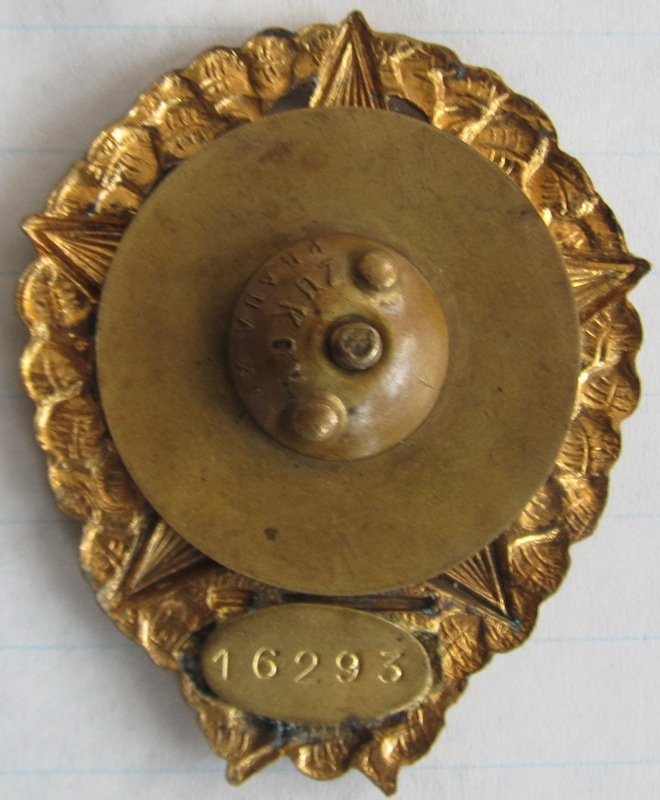 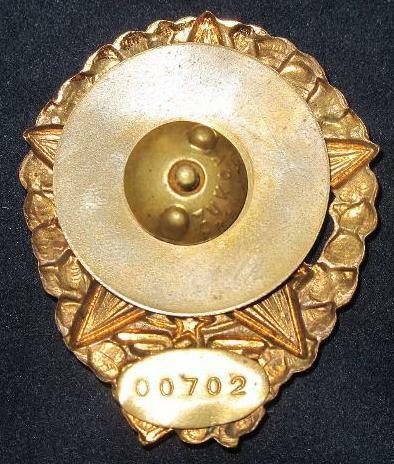 Exemplary soldiers and non-commissioned officers were awarded .The bagdes were made of bronze,dimension 4,6cm X 5,1cm.For wearing the base and matrix were used-collectors try to get complete badges.Bases were both-alluminium or brass.It is nice.The description-the five-pointed emaled star put on the wreath from limb leaves,in the middle walkig lion .In the lower part is the speciality of army.21 specialities of army were issued.I do not have photos all the badges,because during past years I sold nearly 30 bagdes.So first I will show some left. 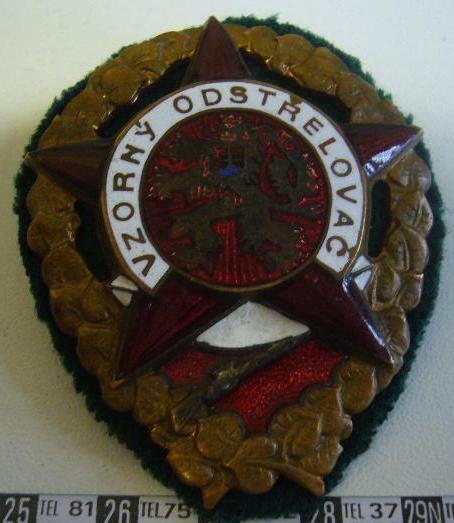 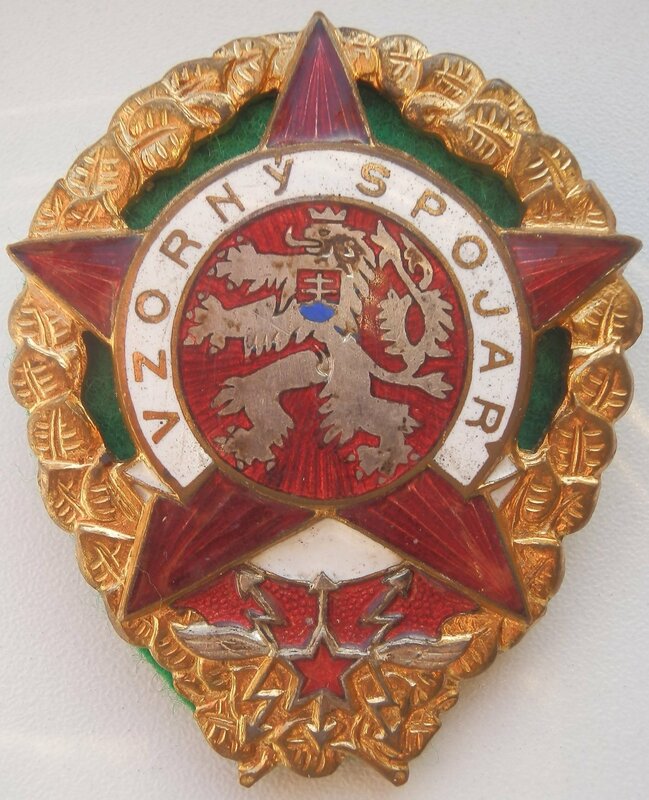 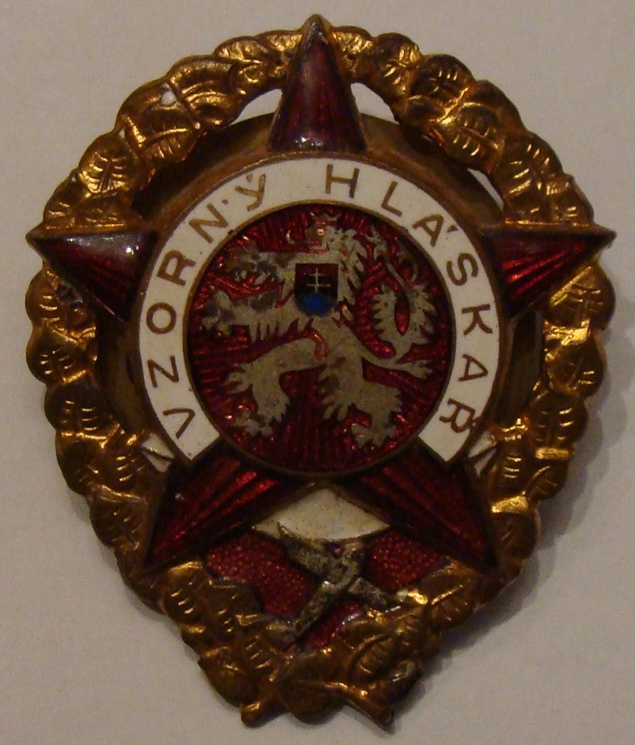 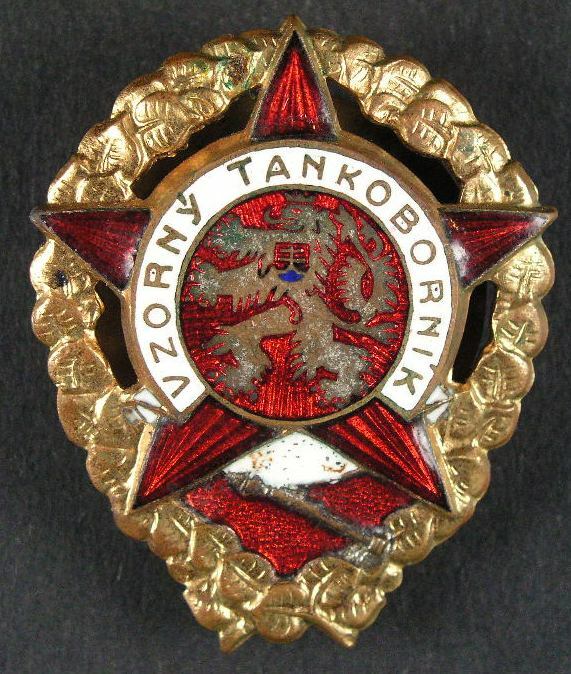 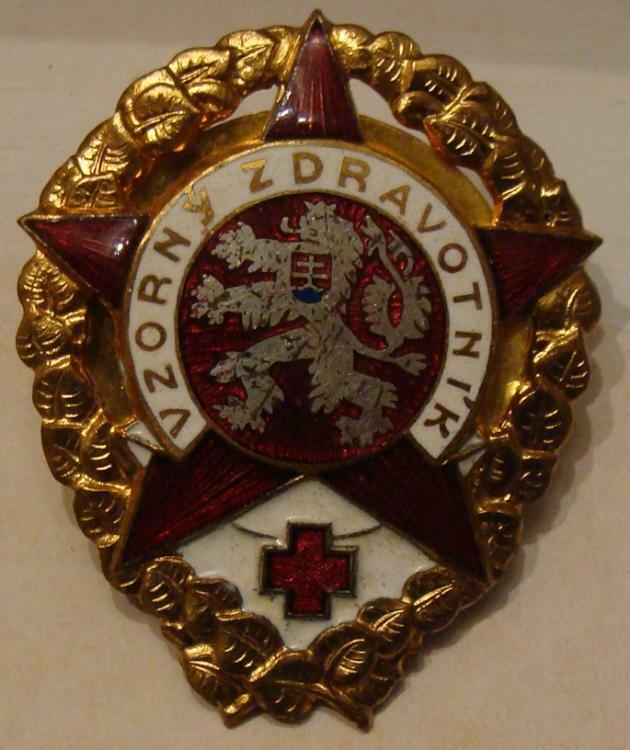 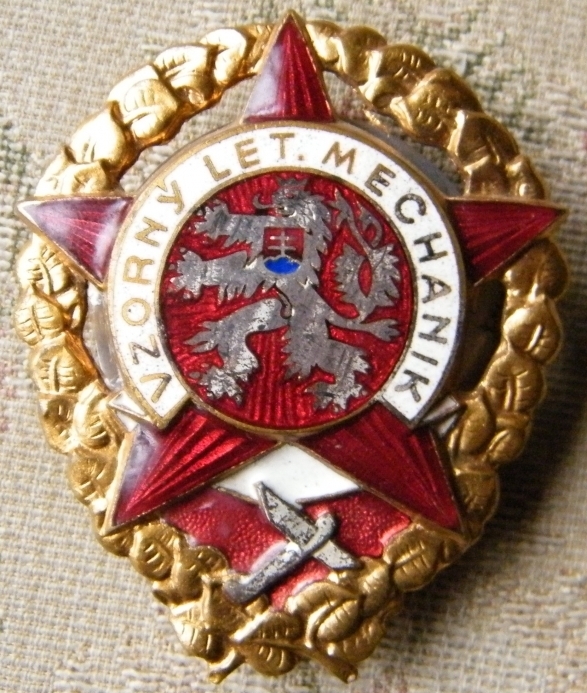 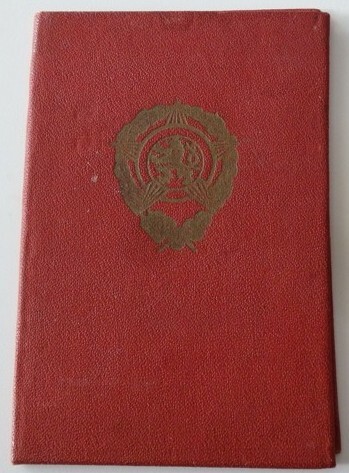 4.An exemplary frontier guard-No walkig lion inside but the figure of a frontier guard with the gun mashine,backwards the siluette of the Prag Castle-Hradčany.Down-the profile of the German dog.The badge was instituted in 1954.It has a green certificate,not red one as others.Notice ,please the reverse.All badges were registerred and had the number. 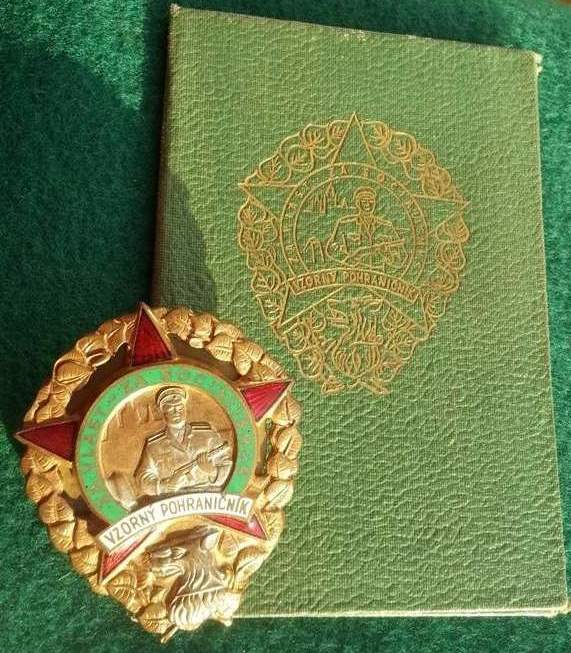 I had to borrow,or exactly to steal the photos of certificates-dokuments,simply I took mine away.A green certificate was for frontier guards, a red one for other specialities of army. 5.An exemplary medic soldier.It belongs to middle expensive bagdes. 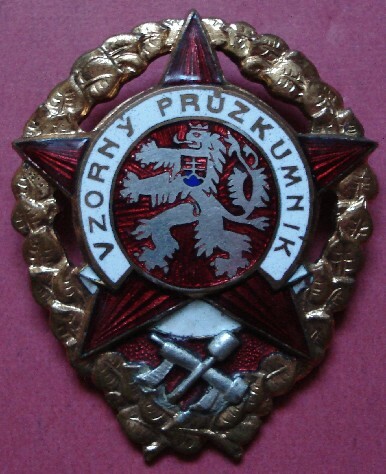 One of the rarest and more exensive.The soldiers so called PTP military units were awarded.PTP-Pracovno-technické prapory-Work-technical batallions were the units in army that work in heavy industry-building roads,rock mines...etc.This one in the picture is with a low number. 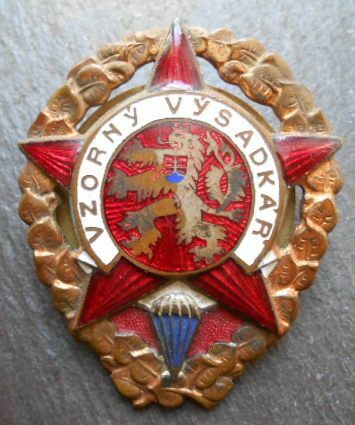 It is not easy to finish this topic because there not many badges for the exemplary soldiers for sale,but finally one bagde has appeard.Exemplary Sniper. 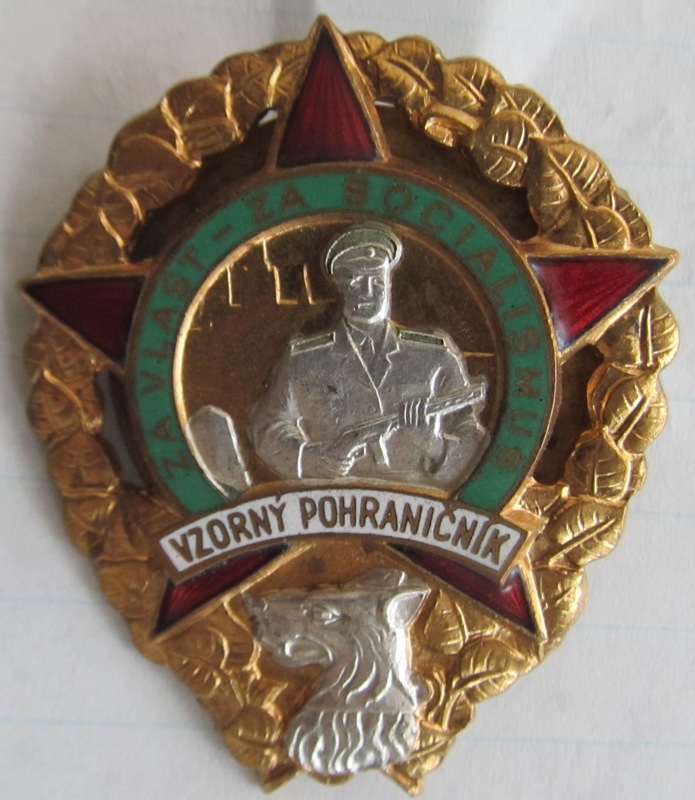 21.Exemplary Cook.Probably the most expensive and difficult to get.With the emblem -ears of wheat. 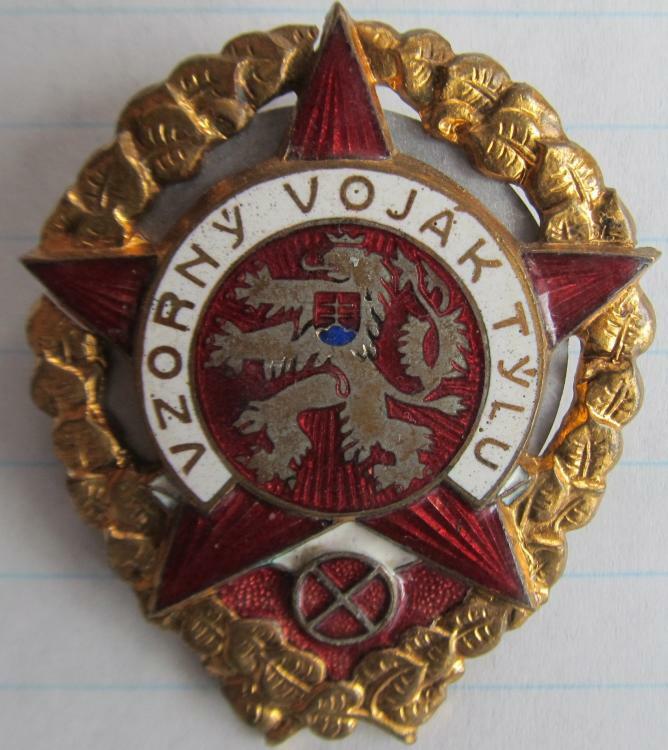 this badge was sold for 1350euro. Really some badges of the military quolifications are not cheap at all.